JooTube.TV: AIPAC Conference encourages global attendees to dialogue; Protesters prefer guerrilla tactics, 2 Jewish bodyguards provoked, arrested; Were cops complicit? 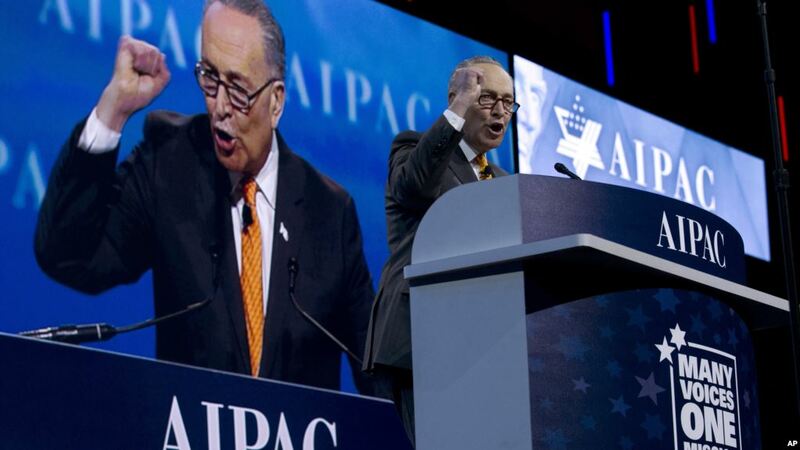 AIPAC Conference encourages global attendees to dialogue; Protesters prefer guerrilla tactics, 2 Jewish bodyguards provoked, arrested; Were cops complicit? Israeli Amb. to U.S. Ron Dermer addresses AIPAC in D.C.
At the AIPAC Policy Conference in Washington last week, some 18,000 Israel supporters from around the world Jews were encouraged by words from Trump administration's Vice President Mike Pence, US Amb. to the U.N. Nikki Haley, as well as Congresspeople and (via satellite) Israeli diplomats, including Prime Minister Benjamin Netanyahu. in supporting Israel and challenging its nemesis, political Islam- particularly that backed by Shi'ite Iran. And few of the attendees may appreciate this espirit des corps as much as those hailing from multicultural liberal (read anti-Israel, philo-Muslim) Europe and Australasia. Rabbi Lionel Rosenfeld, senior rabbi at London's Marble Arch Synagogue told JewTube.Info "I have the honor of being the only British Orthodox rabbi at AIPAC for the second year running. And I do it so I can get a fix and tell my congregation what it's like to hear 18,000 people to sing the Hatikvah and root for the vice-president. We need it in London. London is so wishy-washy when it comes to Zionism. We need this." In a message for the British Board of Deputies, Rosenfeld says, "Stand-up stronger for Israel and for the Jewish people. Don't keep your heads below the parapet." The violent anti-Israel demonstrations in France and Canada have warranted the organizing and deploying of Jewish self-defenders. 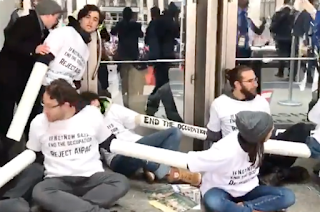 At the past 2 years' AIPAC Conferences, well-organized Socialist and Islamist groups protested intimidatingly, impeding the ingress and egress of conference attendees and starting fights (including with sign-sticks) against the small number of Jews who came outside to defend their honor before the news and social-media influencer cameras. This year, the Toronto, Canada-based Jewish Defence League organized a counter-presence to clear a path and deter violence against Zionists from militant anti-Zionists. While the J.D.L. group, led by Meir Weinstein, was outnumbered exponentially by the aggressive anti-Israel protesters, they would not be intimidated by physical threats and did, in fact, combat force with greater force. For unknown reasons, the D.C. police did not separate the aggressive crowd of Israel-haters from J.D.L. When their comrades Ram Lubranicki and reformed-Palestinian Sandra Solomon were hit and menaced, JDL'ers caught and punished Kamal Nayfeh, 55. In JewTube.Info's exclusive interview, Sandra Solomon recounts Nayfeh's menacing her and theft of her Palestinian flag. Israeli-Canadian Yosef Steynovitz, 29, and Israeli-American Ram Lubranicki, 59, were arrested (no Muslims were arrested) and charged by D.C. police (respectively) with felony assault and misdemeanor assault. The men are accepting donations for their legal defense. 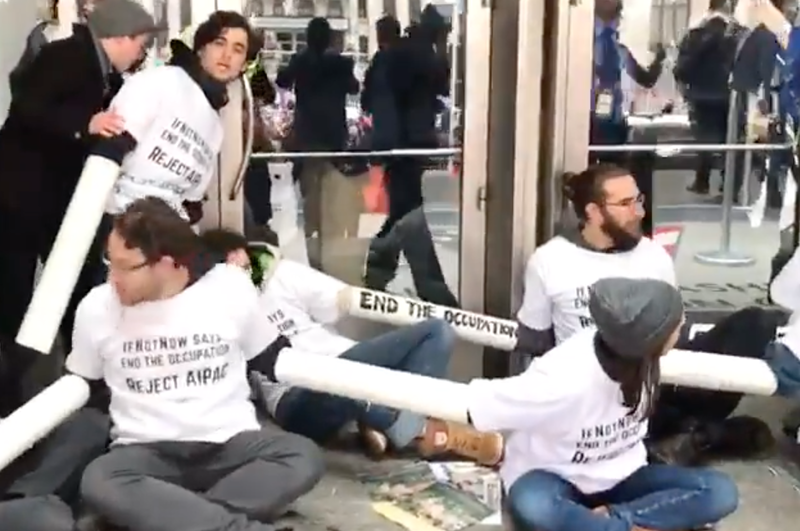 While the information and dialogue presented by politicians and experts to the AIPAC-amassed Zionists, protesters were closed-minded to the reasoned information and arguments the few Zionist attendees attempted to dialogue with them. Organized antagonists and hostile provocations resulted in D.C. police restricting ingress and egress to the attendees. This video playlist features JewTube.Info's original coverage from inside and outside of the Conference (including attempted dialogue with Arab and Leftist protesters, and interviews with Harold Rhode and Ryan Bellrose at the separate Judea/ Samaria event).